We aim to offer a professional and personal service to all our clients. Our policy is to market properties, large or small with a view to finding a suitable tenant/buyer and providing landlords with total peace of mind. Whether buying a property to live in or as an investment we can make the entire property purchase process easier for you, saving your time and money. We have a large portfolio of properties including Villas, Apartments, Studios and Commercial Property. We specialize in dealing in high-end areas of Dubai like Dubai Marina, Jumeirah Beach Residence, Emirates Hills, Jumeirah Lake Towers, Business Bay and Down Town. 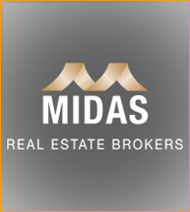 © 2015 Midas Dubai. All Rights Reserved.